Made in accordance with international quality standards, Timing Belt Pulley is high on demand in the national and international clients. 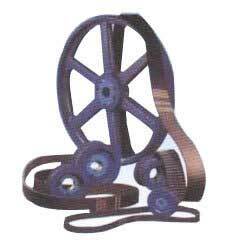 Consistent performance, longer service life, durability and minimal maintenance are some of the special features of Timing Belt Pulley offered by us. This pulley suits the requirements of Air Handling Unit, Material Handling Equipments, Conveyors, Car Parking Systems and Cable Machineries.